One week in, I thought I’d take a minute to introduce the new organisation I’m working with here in Kenya. Plus a quick update on how I’m finding life so far. Nairobi (based on very brief experience to date) is living up to its reputation: hectic, exciting, edgy – and at times frustrating. The frustration comes from what I’d been warned in advance would drive me mad: the traffic. Hit things at the wrong time, and it’s deadlock (my 10 minute journey to work, took an hour and 10 minutes on Monday evening). That aside, though, it’s already evident this city, and country, is the Africa hub for all things social enterprise / NGO / technology innovation related. It offers a great opportunity to meet people at the cutting edge of development and social enterprise. Kiva have their Africa regional office here – luckily, that means a ready-made social network to help me settle in, plus I’m getting the impression there’s an excellent restaurant, music and bar scene. In one respect, Nairobi’s identical to other African cities: once again, the English Premier League seems to dominate wherever you go. Firstly, communities establish groups (usually around 15-20 individuals) who are keen to work together. HiH provide training on working together effectively as a team: group dynamics, leadership, building trust. The group are also introduced to the concept of saving (completely new to many in these communities). HiH then provide training in entrepreneurship: the groups are given guidance on how to start, grow and sustain a small business. They’re trained in core business management skills such as business plans and marketing. The training next covers basic financial literacy: budgeting, obtaining credit, debt and risk management. And finally, HiH helps the group identify ways of scaling up their businesses, for example linking in to larger markets and identifying economies of scale. There is also a strong emphasis here on the environment, and the opportunities for establishing ‘green’ businesses. It’s at this point, after the group have been through their thorough 6 month training programme, that the Kiva scheme comes into play. Each individual can apply for a Kiva loan (of between $50 to $300), to invest in growing a small business. I haven’t yet had a chance to get out and meet borrowers (I’ll be starting next week). 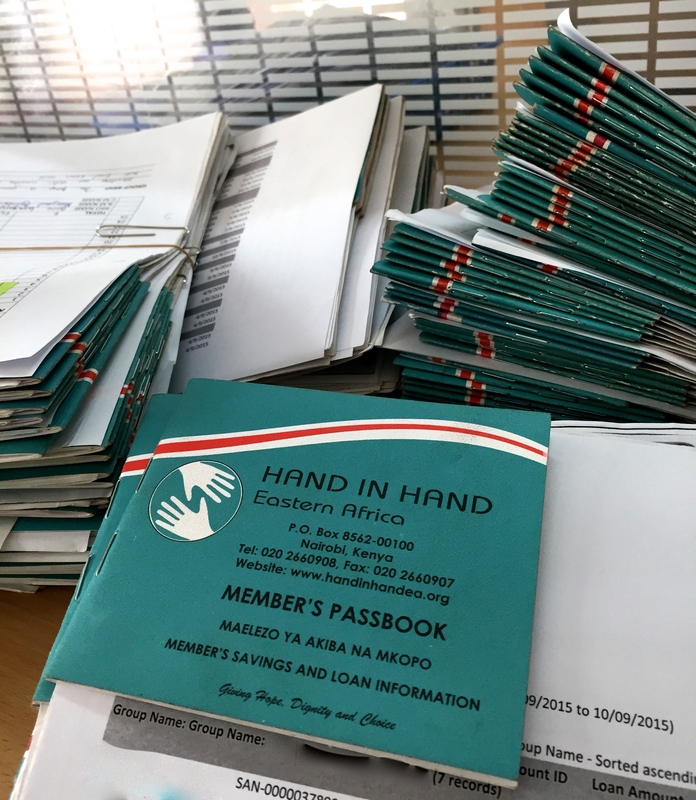 But already, I’m hugely impressed: by July 2015, HiH Eastern Africa had a membership of over 115,000 individuals (80% of them women), had made 46,000 loans, and created almost 160,000 jobs. Their strapline sums it up: Giving Hope, Dignity and Choice.